The map is 30" x 48". 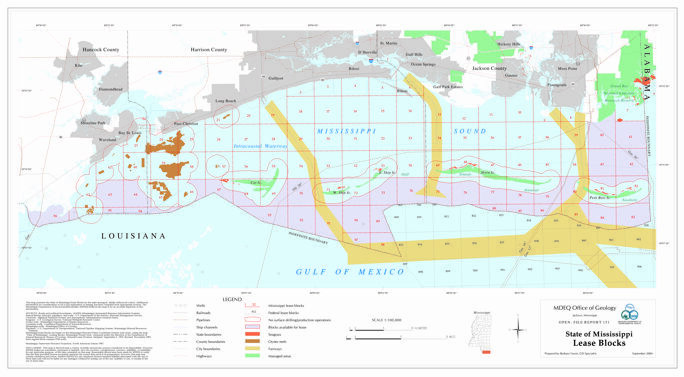 Mississippi lease blocks are based on the Mississippi Mercator Plane Coordinate System (east zone), using the map "State of Mississippi, Leasing Blocks, Mississippi Sound Area," prepared under the direction of the Department of Natural Resources, Bureau of Geology, Mineral Lease Division, Adopted: September 2, 1969, Revised: November 1985. Each regular block contains 5760 acres.